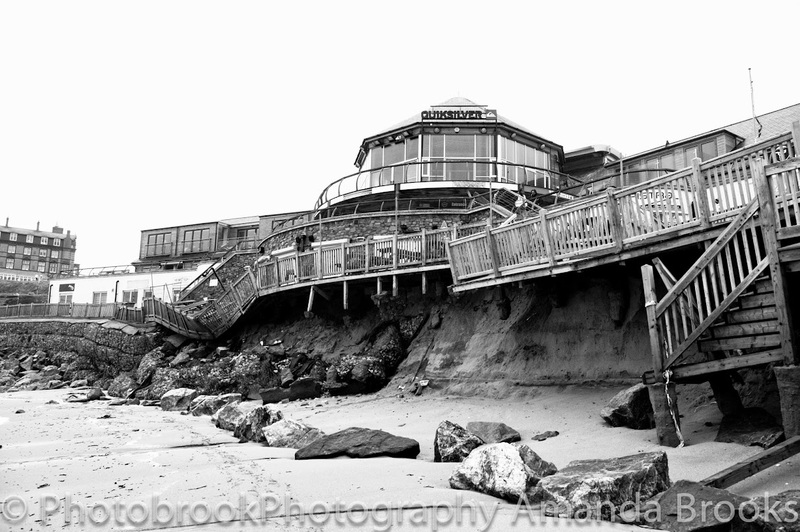 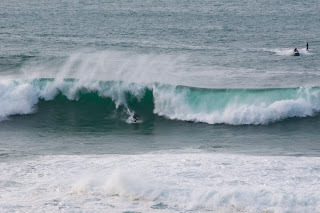 Well if i thought watergate bay was big i hadn't seen anything until i reached the headland at little fistral and caught my first glimpse of Cribbar working. 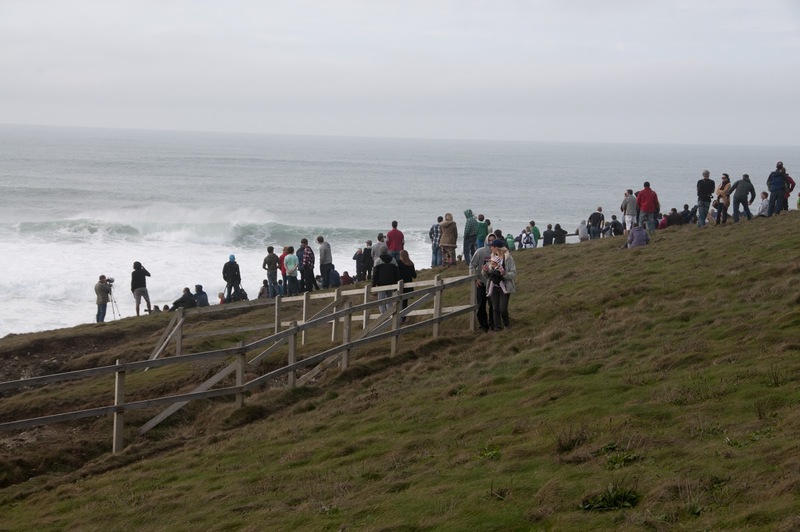 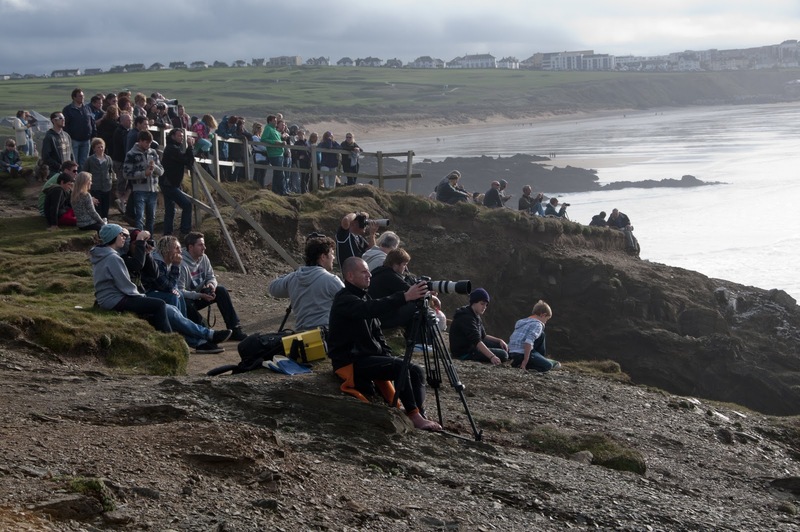 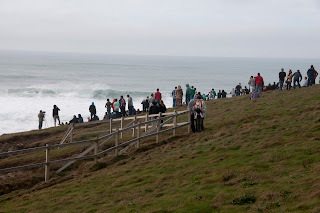 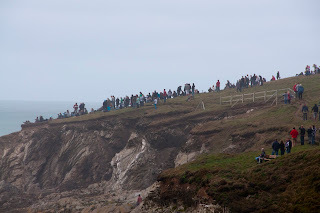 More noticebly was the crowds and excitement, the car park was rammed full, and it was one in one out, as crowds stayed on the headland watching the waves in awe. 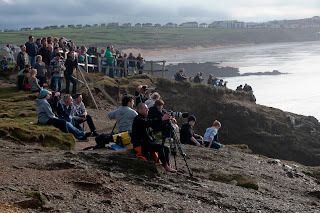 There's people videoing, photography, and even families with blankets and picnics all camped out waiting to see the surfers in action, There was three jet ski's out about 2pm when i was down there with two riders - If anyone knows who was riding i'd love to knw, some twitter reports say ben skinner was out but who knows, but respect to these crazy guys with balls of steal!!! The thrill of watching this rare occurring wave was insane, the crowds cheering on each riders wave, and when the surfer entered a barralling section of wave that closed out and some how came out of the mass of white water still riding it truely shows what these guys are made off. 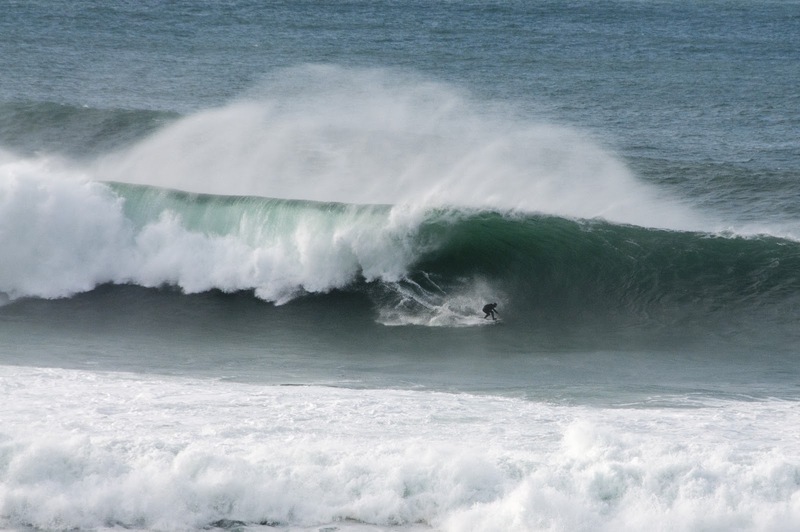 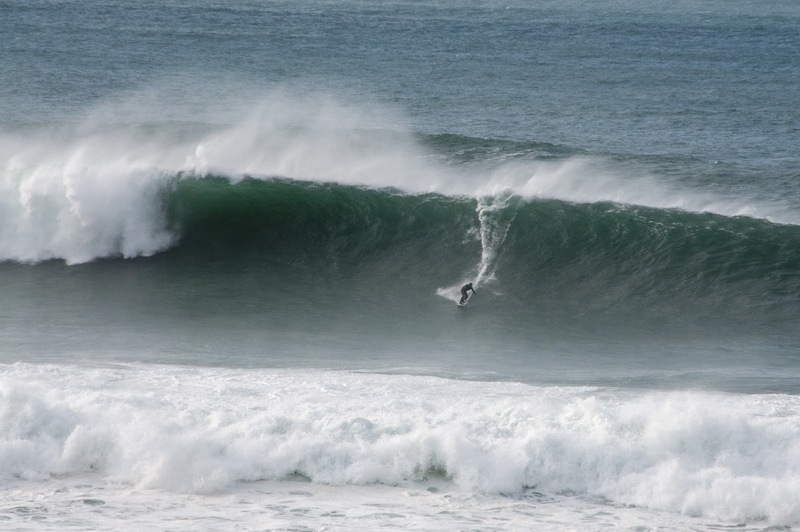 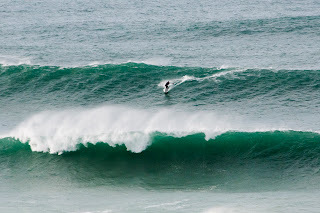 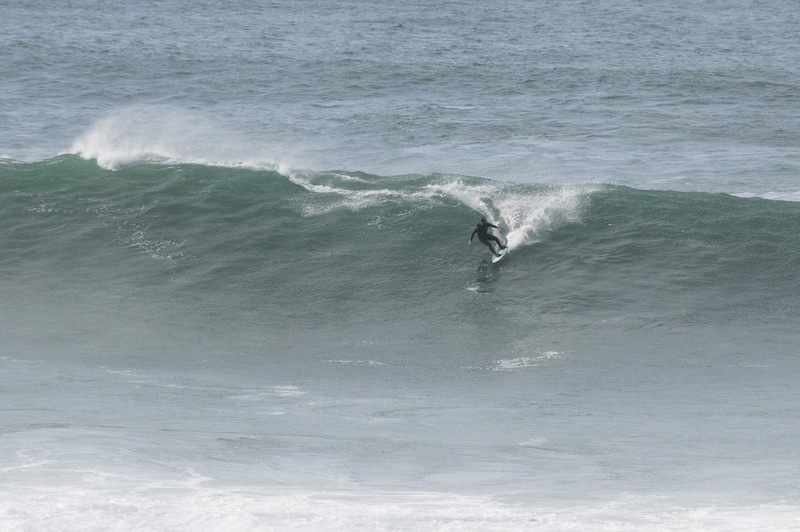 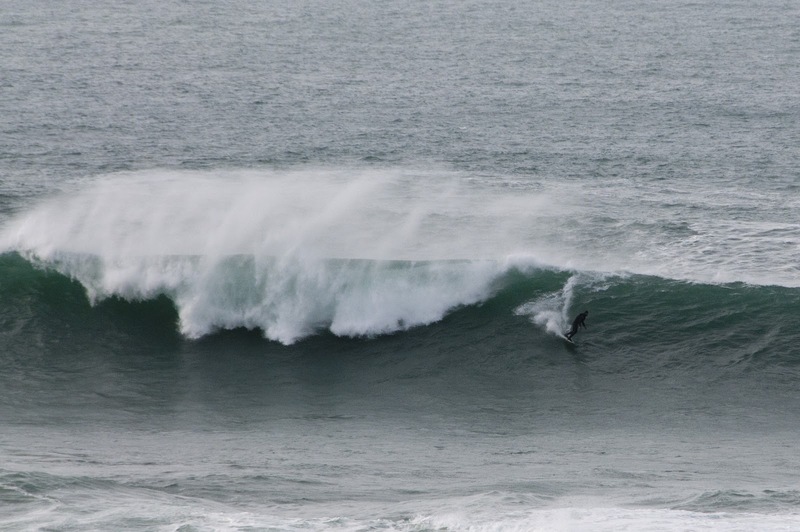 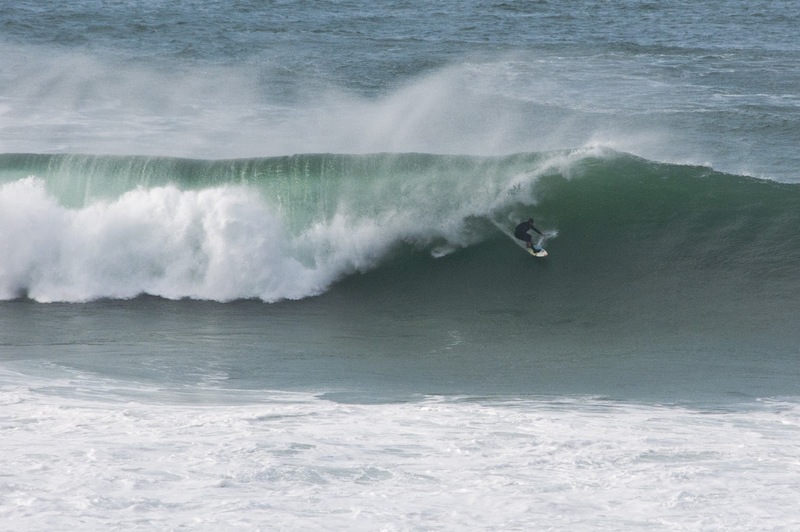 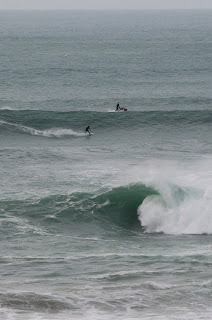 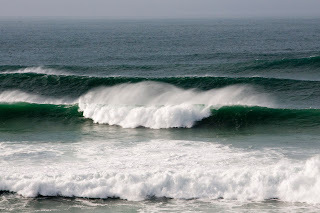 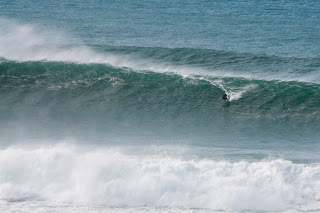 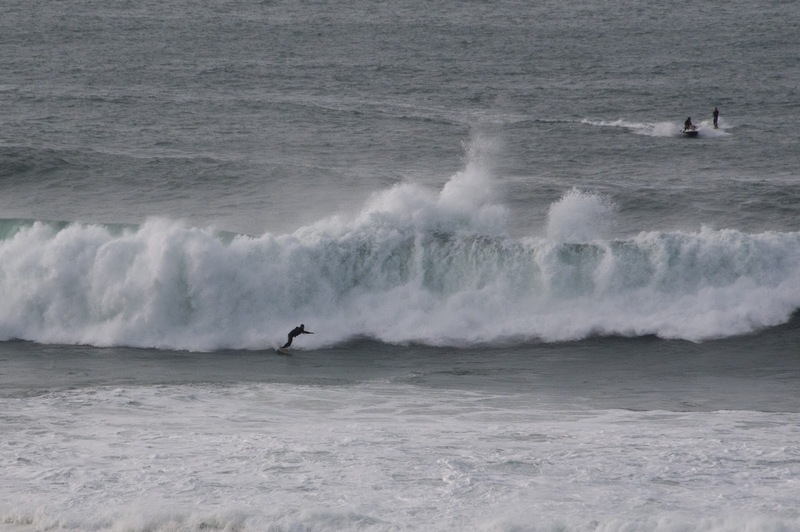 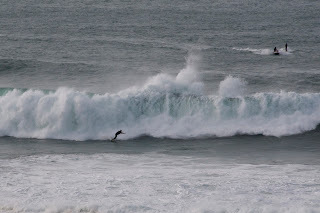 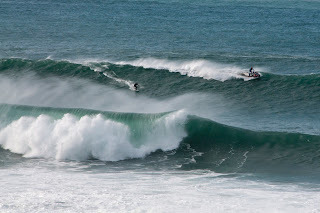 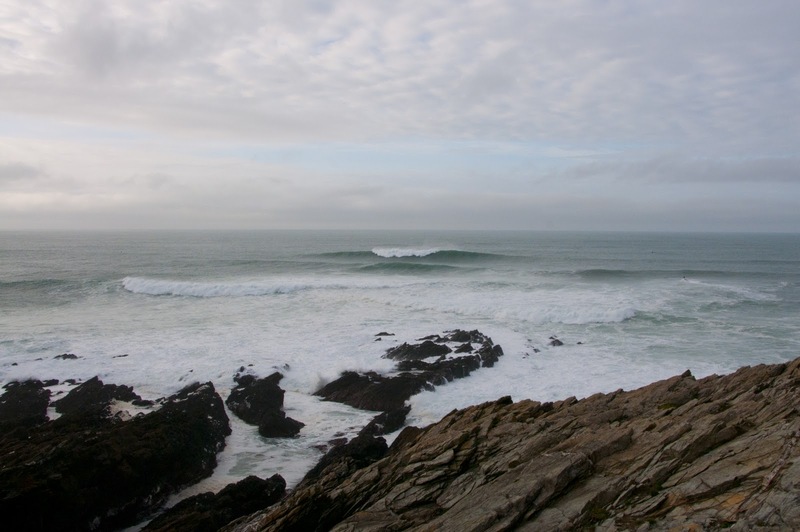 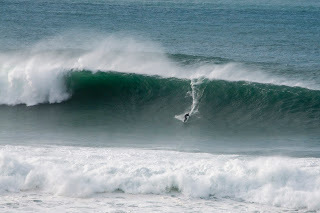 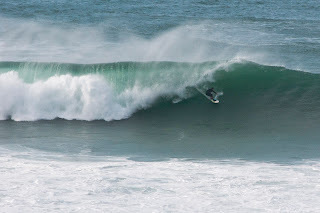 Also noticed was two guys actually paddling out for this wave, one from the little Fistral side of the headland and one from the Newquay bay side, neither of the guys made it out into the lineup but some paddle by both to even attempt this. 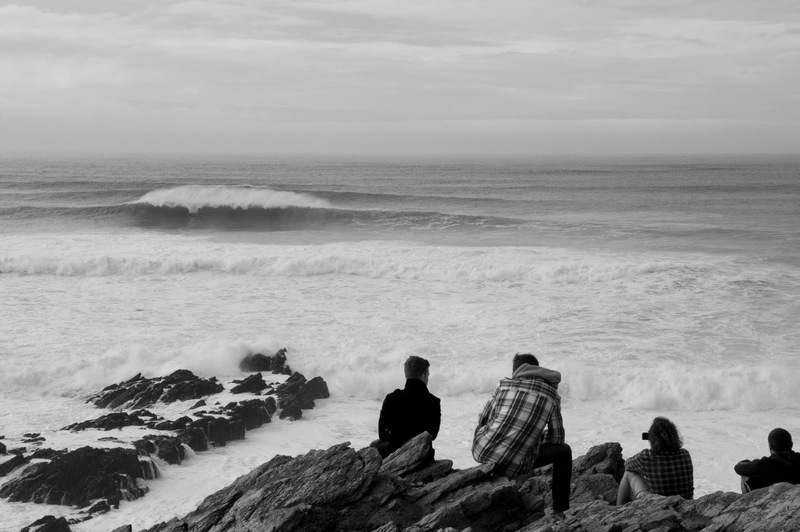 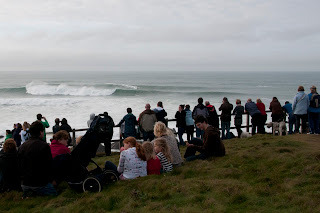 Today was really insane to watch and i really hope that someone has some video of these waves soon.